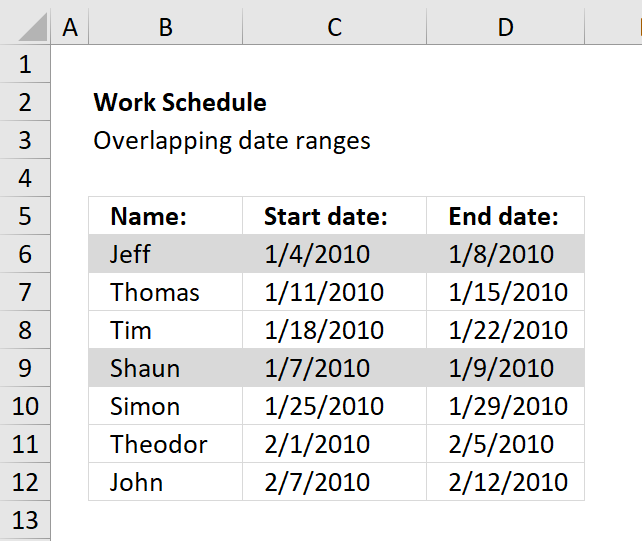 This blog post shows you how to easily identify duplicate rows or records in a list. 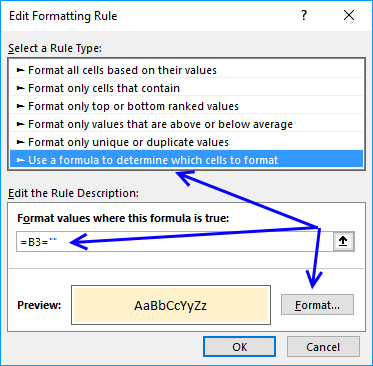 Type =COUNTIFS($B$3:$B$15,$B3,$C$3:$C$15,$C3,$D$3:$D$15,$D3)>1 in "Format values where this formula is TRUE" window. 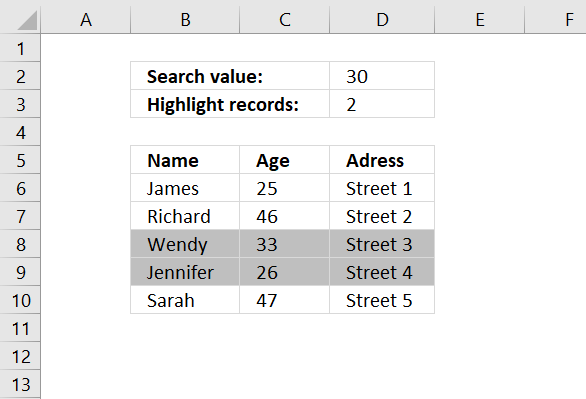 Select a color for highlighting cells. 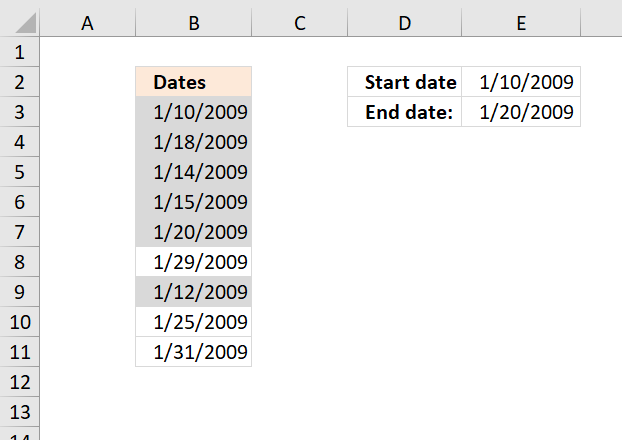 The COUNTIFS function allows you to counts duplicate records, make sure you create a condition for each column in your record. 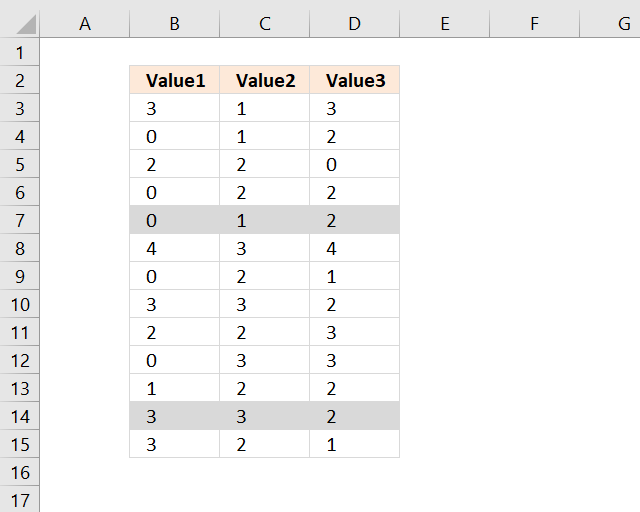 There are three columns in this example, the first argument is $B$3:$B$15 and doesn't change when the conditional formatting moves on to the next row. 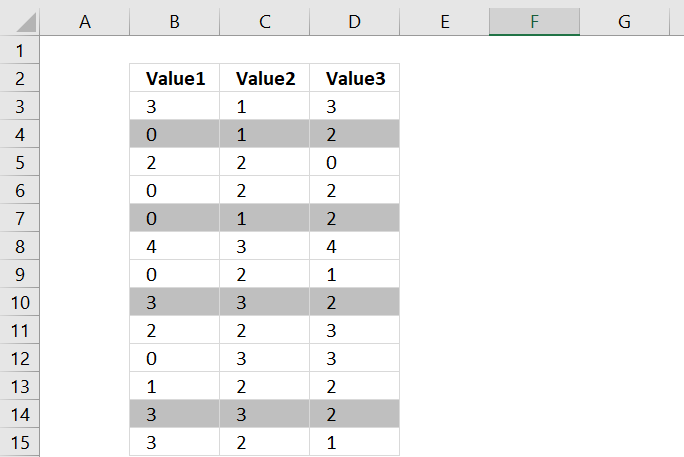 The second argument is $B3 and is locked to column B, however, the row is a relative cell reference (not locked) and changes when the CF moves to next row. 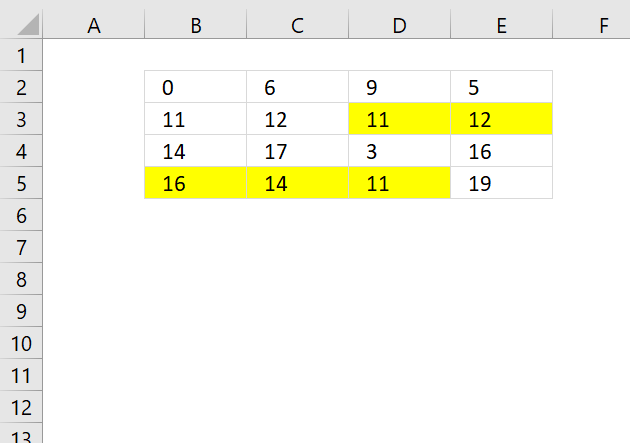 If there are rows that match all three conditions $B3, $C3 and $D3 the COUNTIFS function return the number of rows that match. returns 1 because the first row is counted as well. 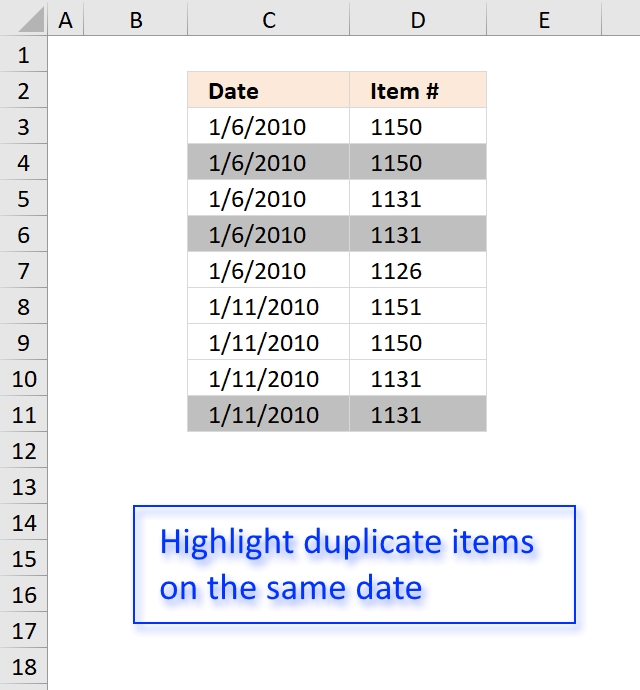 If there are more than one row matching we know the record is a duplicate. and returns FALSE. 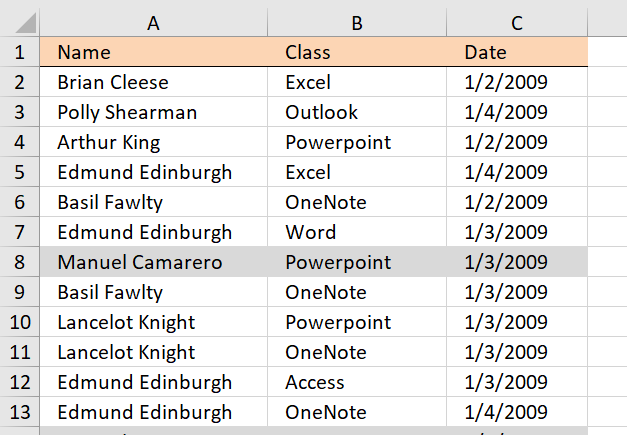 Cell B3 is not highlighted. 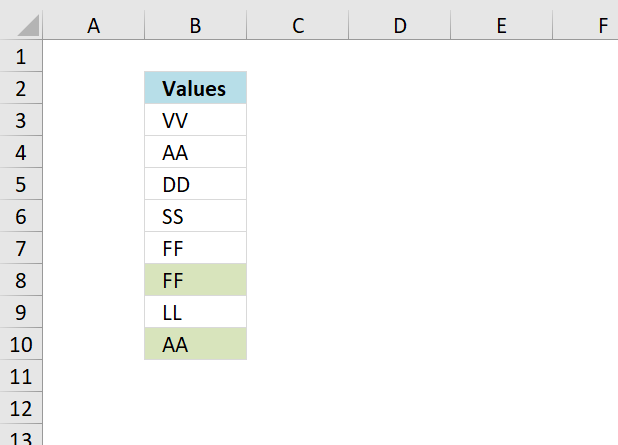 The following CF formula highlights duplicates except the first instance, see image above. with the first equating to "12X3X4" and the second equating to "1X23X4" and the equality check would be false. 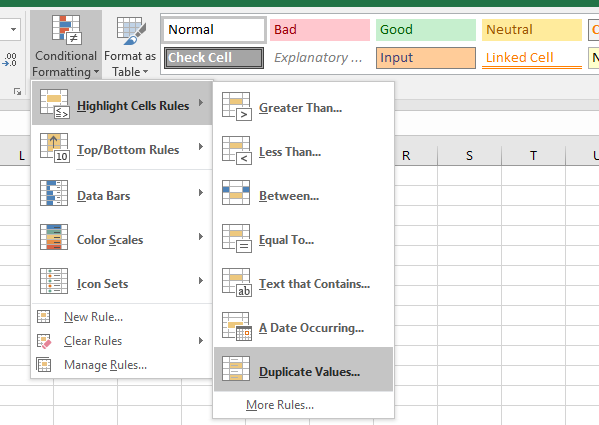 Remember, you must understand how relative and absolute cell references work. 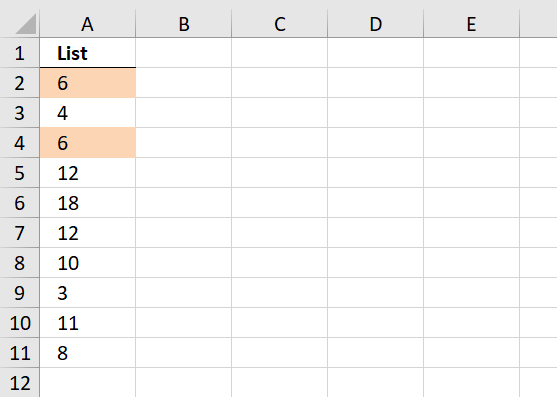 Hello, this formula works great, I am wondering if I can change it slightly for what I need. 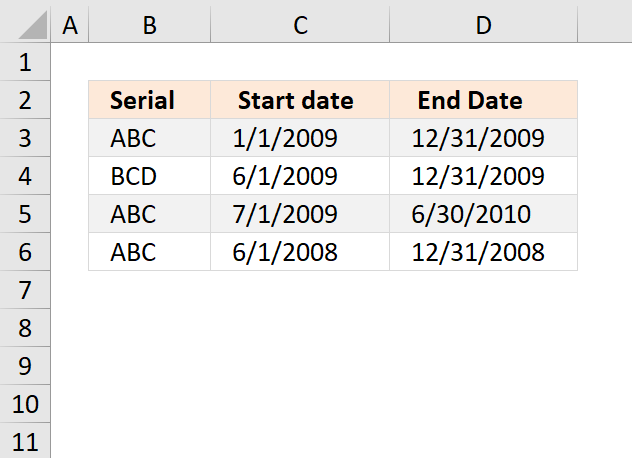 All three of these list are the same, but when they are in a different order, this conditional formatting does not show them as duplicates. Any suggestions?